I’ve been a musician for thirty years and a recording engineer for twenty years. 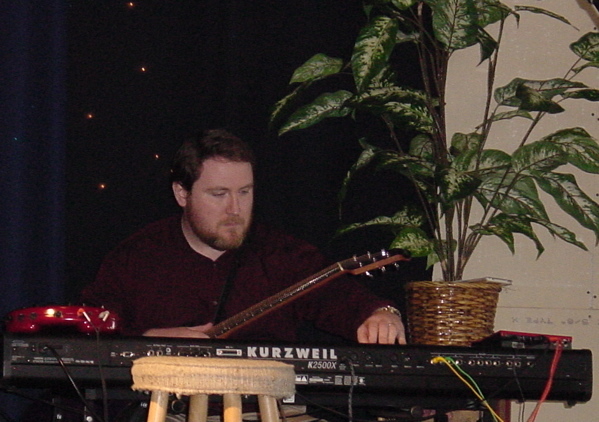 My lifelong interest in music has taken many forms over time, from playing trumpet in jazz bands to singing bass in an informal renaissance music group. My interest in electronic music follows from interest in experimentation with musical formal structures, metrical and rhythmic complexity, and the wide sonic palettes made possible by electronic instruments and electronic manipulation of acoustic sound sources. My music reflects these interests, and has been heard in television and radio advertisements, installation projects, and at trade shows, in locations ranging from Indiana to Australia. Djehuti is an alias I’ve used online since about 1990. It’s an alternate transliteration of the name more familiar as Thoth, the ancient Egyptian god of knowledge, magic and the sciences, who invented writing and the Tarot deck. He is usually represented as a man with an ibis’ head, holding a scroll.